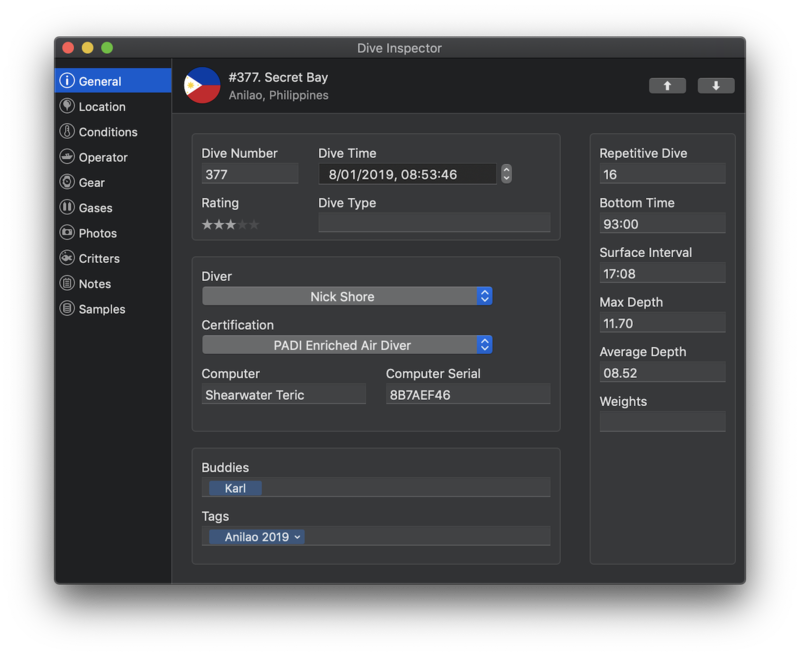 The Dive Inspector allows you to view and edit the details of your dives. It is broken up in to separate views that combine related information for all aspects of your dive - from the basic details to photos, critters and more. Details can be viewed or edited in the various tabs. The Dive Inspector supports multiple selection, so it's a great way to bulk edit dives if you've just returned from a trip and you're catching up on your log. You can still interact with MacDive while an Inspector is open. You can select another dive (or dives!) without closing it to keep editing data.